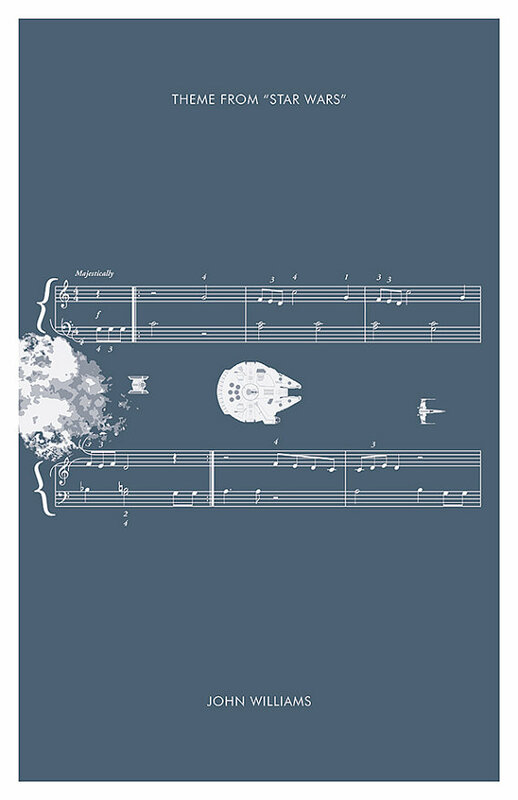 I saw this Star Wars print by headfuzzbygrimboid on Etsy last week. 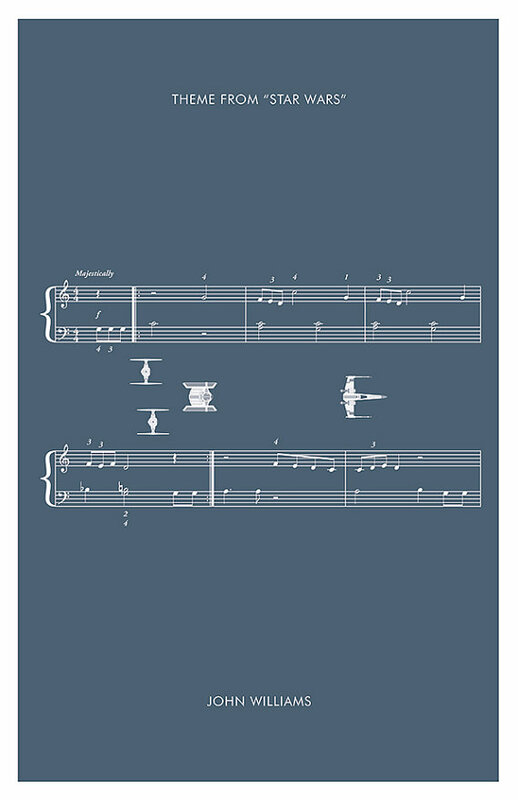 I was rather taken with the concept of placing a movie scene with musical notes from John Williams’ iconic Star Wars theme. In this case, he has put the Luke’s final assault on the Death Star. Nice and unusual. I contacted him to see if he’d do something similar but with a Millennium Falcon theme and he’s come up with a similar concept of the Millennium Falcon as she flees the second Death Star in Return of the Jedi. I love the fact that he has taken the time to put the ships in scale with each other. I felt so pedantic, but I have asked if he can amend Darth Vader’s Tie Fighter to a normal Tie, which he did. You can order one here for £9.26. I wonder what he has planned for The Empire Strikes Back? This entry was posted in Art and tagged Headfuzzbygrimboid, John Williams, Millenium Falcon, Millennium Falcon, Return of the Jedi, Star Wars, Tie Fighter, X-Wing. Bookmark the permalink. No problem, Justina. Glad you like it.